Players searching for PokerPwnage will now be redirected to the PocketFives site, which is a breath of fresh air after visiting the outdated-looking PokerPwnage site; The PocketFives Training site is both sleek and easy to navigate, with drop-down menus and more. 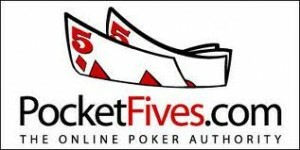 Monthly memberships for PocketFives Training cost $29.95 per month with a one-time sign-up fee of $35. This entry was posted on Thursday, March 24th, 2011 at 7:25 am and is filed under Poker News. You can follow any responses to this entry through the RSS 2.0 feed. You can leave a response, or trackback from your own site.